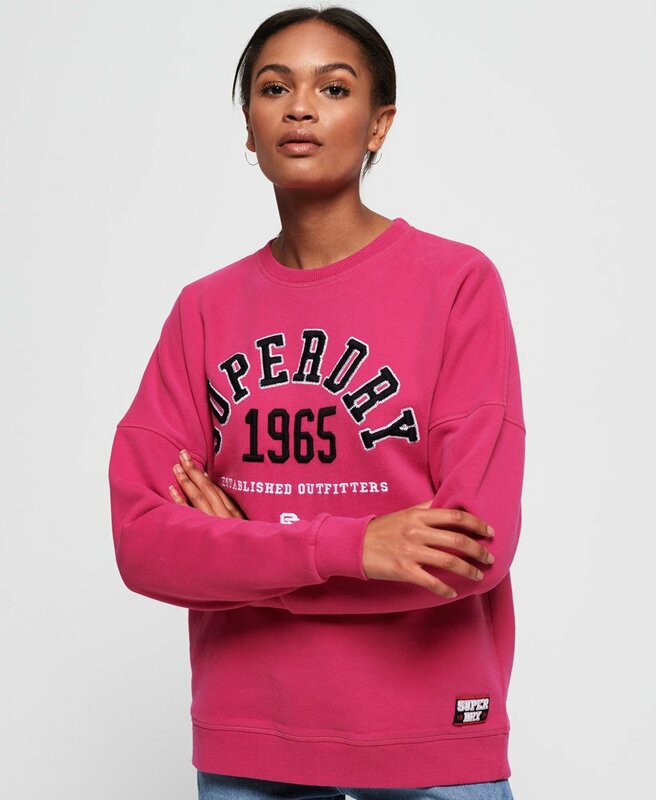 Superdry women's Blair crew sweatshirt. A classic sweatshirt featuring a crew neck and ribbed trims. With a soft brushed inner, you'll want to wear this sweatshirt every day. The Blair crew sweatshirt also features an applique Superdry logo across the front and is completed with a logo tab above the hem. Style with boyfriend jeans and trainers for a laid-back look.